Over Xmas I have been painting Harlequin vehicles to take to the Long War Doubles at Adepticon. I did not like the clear plastic canopies so decided to try and tint the canopies to make them better fit my paint scheme. Going online, I saw techniques that used Humbrol Clear Paints but did not have any or access to get them quickly. So I decided to experiment. 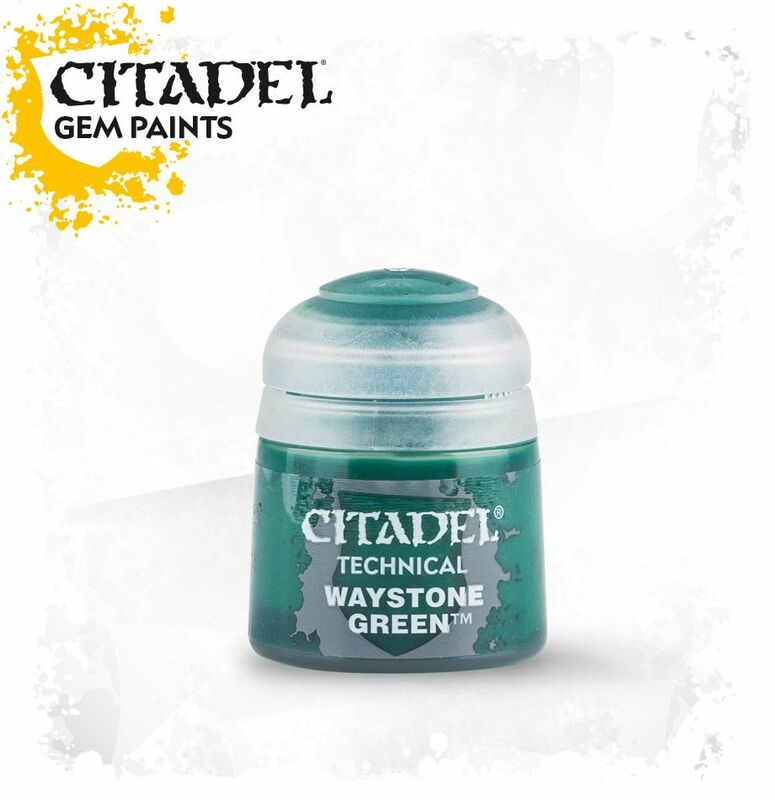 In my collection I have the Gem Paints GW released a few years ago. They are to create gem like finishes on silver background. I decided to see if I could use them to tint canopies. Well, you can. You need to do a few thin coats and in between time use a brush loaded with water to stop any pooling. 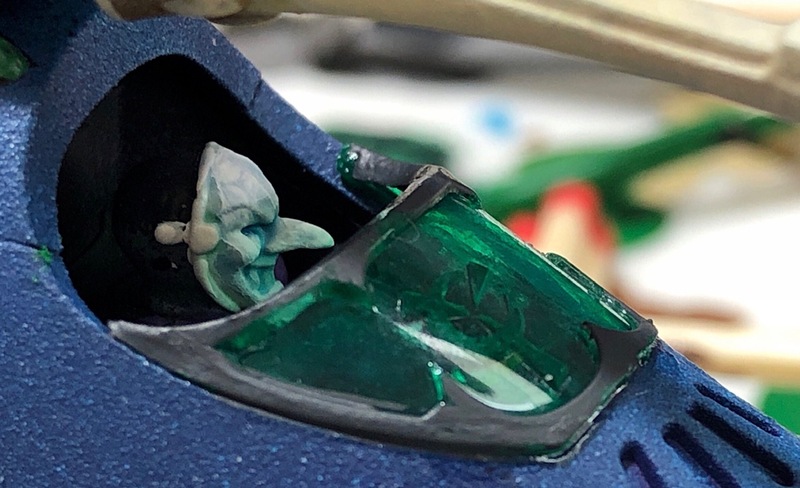 I think it has come up well and I like that it is thin enough to let the light through and throw it onto the face mask. So a happy discovery - and a new use for those paints. Fields of Blood NZ Grand Tournament is back for 2019. The flyer has the details as to when the Players Pack will be available and when tickets go on sale. Capacity is limited to 64 people so mark it in your diaries! Chari-Con - the all for Charity Convention being run by Bede Bailey - has its 40k field filling up. The Players Pack is written and can be accessed here. "WHAT!!!! I only need to bring one book???" This is the first in a series of events I'll be looking to run in 2019. 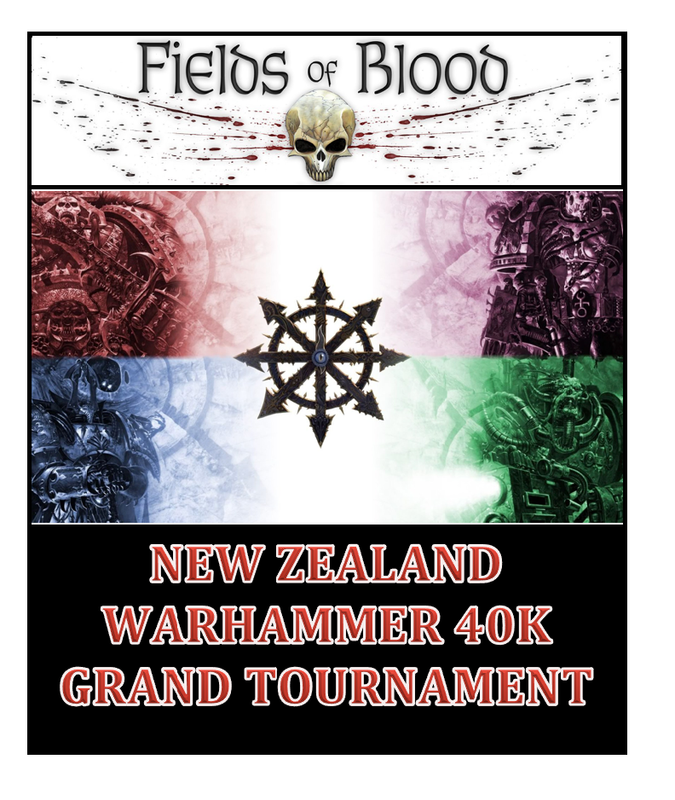 The big two are the Fields of Blood NZ Grand Tournament and the 16 person Warhammer 40k NZ Masters. The events will range from hobby to no-holds barred events to cater to a broad range of participants. The changes are generally underwhelming. I was expecting a nerf of some of the major "offenders" but in all truth that hasn't happened. For my Dark Eldar list I am unaffected and it has got cheaper for me to add Eldrad to "help" them out. However, that is not the biggest disappointment. 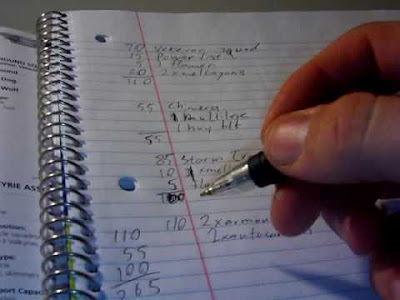 As a TO I check a lot of lists. I can tell you from experience that I do not see the humble Tactical Marine in anything but a small percentage of lists. They needed a drop. At least two points for them and the vanilla CSM. There was nothing. A lot of things that GW make in the Space Marine/CSM range got a drop. Terminators, Cult Marines, things GW makes discrete models for. Tacticals didn't. 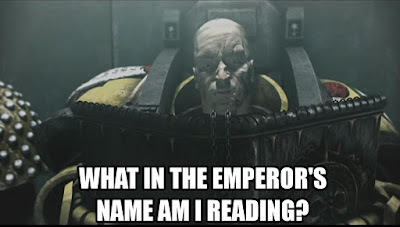 Can only say that this adds weight to theories that they are on their way out to be replaced by Primaris. Can't give the customer any reason to buy the old pattern can we? For those of you that are interested in Tournaments, Bede Bailey is organising Charicon on the weekend of 23/24 February 2019. It will be held at HIBS in Trentham, Upper Hutt. ALL the proceeds from the event are going to Cancer Society. As part of the event I am running a 6 round Warhammer 40k tournament. The event will be geared more to the "fun" rather than ultra-competitive. 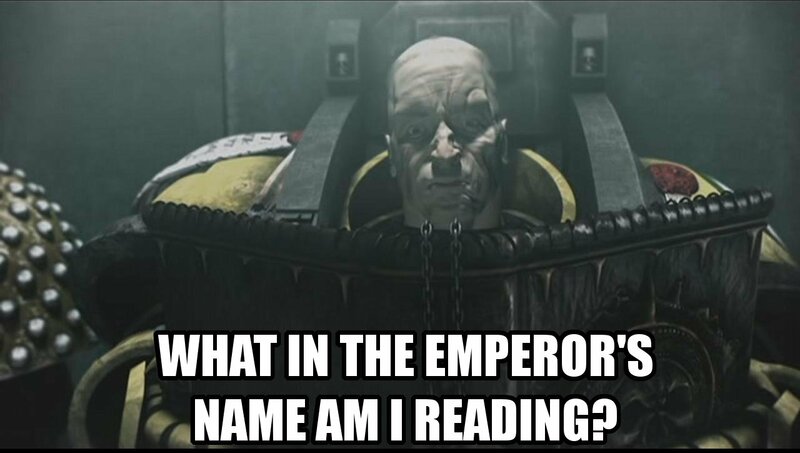 Armies will be 1500 points drawn from one Codex only. Also only Codex options may be used. Hopefully you can get behind it and we can raise some money for the Cancer Society.